Compare providers and get quotes to find the right point of sale solution for your business. Transform the day to day management of your business. 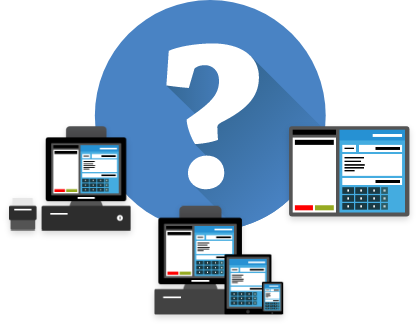 What could an EPOS System do for your business? EPOS is shorthand for Electronic Point of Sale. While it may sound simple enough, this term actually includes a wide range of possibilities. Both the demands of modern business and technology have evolved over time and today the most advanced EPOS system in the UK can become like another member of staff. An efficient, multitasking, analytical, reliable and diligent member of staff with only one motivation: to grow your business. As a customer you will almost definitely have seen an EPOS system in action, but you may not have considered how EPOS – used appropriately – could be applied to your business. There are EPOS products to suit businesses of all sizes and across a wide range of sectors. Take the plunge and transform your business with a Complete EPOS solution including both hardware and software. An EPOS till system will make your transactions more efficient, improve the customer’s experience, track sales performance and more. EPOS Software is the intelligence and functionality of your system and ranges from the simple but effective to the absolute state of the art. 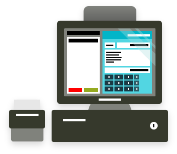 Your POS devices are the tools you use everyday and should be intuitive, reliable and durable. 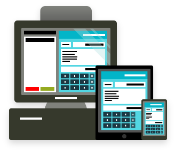 A Cloud EPOS system ensures complete visibility of your whole business including both online and multi-site businesses. There is no shortage of EPOS providers and an even more options when it comes to choosing the right hardware and software. We’ve created some essential Buying Guides, including introductions to the Top 5 Providers, to help you navigate the pros and cons. Every business is unique and an EPOS system that works for one may not be right for another. We’ve done the research into the leading providers for the Retail, Pharmacy, Hospitality and Restaurant sectors to help with your decision.